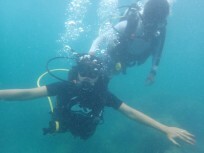 This PADI Discover Scuba Dive (DSD) in Havelock Island gives you not one but TWO dives from a boat. 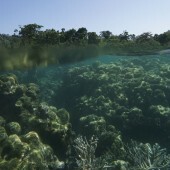 You'll do a short training session in shallow water, and then head out in a boat for two dives. 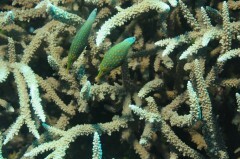 You'll be diving at sites where the marine life is richer and more varied. 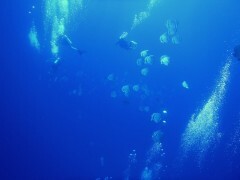 This is a chance to enjoy diving in the peace of the open sea, away from the shore. You don't even need to know how to swim for this. You'll do a shallow water training session of 20-25 minutes, and then head into deeper waters for two dives of 45-50 minutes each. 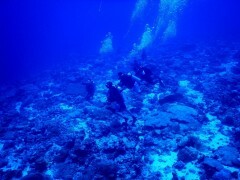 You'll go to a depth of 40 feet or 12 metres, and will receive a Discover Scuba Dive certificate at the end of this. You can carry forth these skills if you decide to do a scuba course after this. 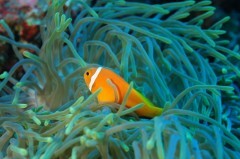 You will be doing your TWO Discover Scuba Dives in the beautiful waters around Havelock Islands. It's a perfect day when you're away from the shore, surrounded by the blue seas, learning how much fun you can have while scuba diving. 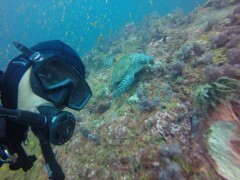 • Sign up for your Discover Scuba Dives in Havelock Island. 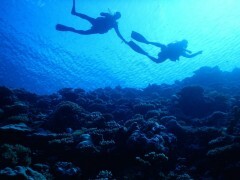 • Head out in a boat for those and dive to 40 feet on TWO 45-50 minutes underwater dives. 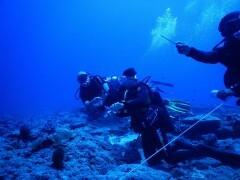 The dive sites will be decided by the operator/guide based on weather and tide conditions. 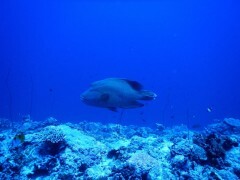 Please plan your trip to arrive in Havelock the day before your dives. Eat a light breakfast before you report to the operator's dive shop by 07:00 hrs. 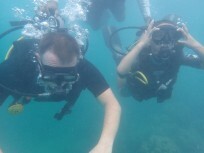 After a brief introduction, you'll kit up and wade into shallow water to start with the basics of scuba diving. Once you're ready, you'll board boats and will be taken to deeper water, accompanied by your instructor, for your dives. After TWO fun 45-50 minutes dives, you'll return to shore. You will return to the dive shop to get your certificate and your photos. 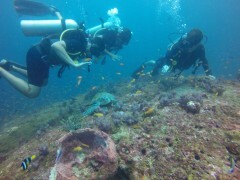 Your Discover Scuba Dive in Havelock Island ends here.